মূৰ্তিসমূহ নিৰ্মাণৰ বাবে শিলৰ ব্যৱহাৰ কৰা হৈছিল যদিও সস্তীয়া আৰু সহজে খোদাই কৰিব পৰা মাধ্যম হিচাপে কাঠৰো ব্যৱহাৰ হৈছিল। ৰংসমূহ লো, তাম আদিৰ আকৰ, এঙাৰ, চূনশিল আদিৰ পৰা আহৰণ কৰা হৈছিল। ফাৰাওসকলে যুদ্ধজয়, ৰাজকীয় ঘোষণা, ধাৰ্মিক ঘটনা আদি লিপিৱদ্ধ কৰিবলৈ ফলকৰ ব্যৱহাৰ কৰিছিল।. ↑ "Chronology". Digital Egypt for Universities, University College London. Archived from the original on 16 March 2008. http://www.digitalegypt.ucl.ac.uk/chronology/index.html। আহৰণ কৰা হৈছে: 25 March 2008. ↑ 8.0 8.1 Ward, Cheryl. "World's Oldest Planked Boats", inArchaeology (Volume 54, Number 3, May/June 2001). Archaeological Institute of America. ↑ "Egypt's Ancient Fleet: Lost for Thousands of Years, Discovered in a Desolate Cave". Discover Magazine. http://discovermagazine.com/2011/jun/02-egypts-lost-fleet-its-been-found. ↑ "Mummies and Mummification: Old Kingdom". Digital Egypt for Universities, University College London. http://www.digitalegypt.ucl.ac.uk/mummy/ok.html। আহৰণ কৰা হৈছে: 9 March 2008. Aldred, Cyril (1988). Akhenaten, King of Egypt. প্ৰকাশক London, England: Thames and Hudson. ISBN 0-500-05048-1. Allen, James P. (2000). Middle Egyptian: An Introduction to the Language and Culture of Hieroglyphs. প্ৰকাশক Cambridge, UK: Cambridge University Press. ISBN 0-521-77483-7. Badawy, Alexander (1968). A History of Egyptian Architecture. Vol III. প্ৰকাশক Berkeley, California: University of California Press. ISBN 0-520-00057-9. Billard, Jules B. (1978). Ancient Egypt: Discovering its Splendors. প্ৰকাশক Washington D.C.: National Geographic Society. Cerny, J (1975). Egypt from the Death of Ramesses III to the End of the Twenty-First Dynasty' in The Middle East and the Aegean Region c.1380–1000 BC. প্ৰকাশক Cambridge, UK: Cambridge University Press. ISBN 0-521-08691-4. Clarke, Somers; R. Engelbach (1990). Ancient Egyptian Construction and Architecture. প্ৰকাশক New York, New York: Dover Publications, Unabridged Dover reprint of Ancient Egyptian Masonry: The Building Craft originally published by Oxford University Press/Humphrey Milford, London, (1930). ISBN 0-486-26485-8. Clayton, Peter A. (1994). Chronicle of the Pharaohs. প্ৰকাশক London, England: Thames and Hudson. ISBN 0-500-05074-0. Cline, Eric H.; O'Connor, David Kevin (2001). Amenhotep III: Perspectives on His Reign. প্ৰকাশক Ann Arbor, Michigan: University of Michigan Press. পৃষ্ঠা. 273. ISBN 0-472-08833-5. Dodson, Aidan (1991). Egyptian Rock Cut Tombs. প্ৰকাশক Buckinghamshire, UK: Shire Publications Ltd. ISBN 0-7478-0128-2. Dodson, Aidan; Hilton, Dyan (2004). The Complete Royal Families of Ancient Egypt. প্ৰকাশক London, England: Thames & Hudson. ISBN 0-500-05128-3. El-Daly, Okasha (2005). Egyptology: The Missing Millennium. প্ৰকাশক London, England: UCL Press. ISBN 1-84472-062-4. Filer, Joyce (1996). Disease. প্ৰকাশক Austin, Texas: University of Texas Press. ISBN 0-292-72498-5. Gardiner, Sir Alan (1957). Egyptian Grammar: Being an Introduction to the Study of Hieroglyphs. প্ৰকাশক Oxford, England: Griffith Institute. ISBN 0-900416-35-1. Hayes, W. C. (October 1964). "Most Ancient Egypt: Chapter III. The Neolithic and Chalcolithic Communities of Northern Egypt". JNES খণ্ড 23 (4): 217–272. doi:10.1086/371778. Imhausen, Annette; Robson, Eleanor, Dauben, Joseph W., Plofker, Kim & Berggren, J. Lennart (2007). Katz, V. J., Jr.. ed. The Mathematics of Egypt, Mesopotamia, China, India, and Islam: A Sourcebook. প্ৰকাশক Princeton: Princeton University Press. ISBN 0-691-11485-4. James, T.G.H. (2005). The British Museum Concise Introduction to Ancient Egypt. প্ৰকাশক Ann Arbor, Michigan: University of Michigan Press. ISBN 0-472-03137-6. Kemp, Barry (1991). Ancient Egypt: Anatomy of a Civilization. প্ৰকাশক London, England: Routledge. ISBN 0-415-06346-9. Lichtheim, Miriam (1975). Ancient Egyptian Literature, vol 1. প্ৰকাশক London, England: University of California Press. ISBN 0-520-02899-6. Lichtheim, Miriam (1980). Ancient Egyptian Literature, A Book of Readings. Vol III: The Late Period. প্ৰকাশক Berkeley, California: University of California Press. Loprieno, Antonio (1995a). Ancient Egyptian: A linguistic introduction. প্ৰকাশক Cambridge, UK: Cambridge University Press. ISBN 0-521-44849-2. Loprieno, Antonio (1995b). "Ancient Egyptian and other Afroasiatic Languages". In Sasson, J. M.. Civilizations of the Ancient Near East. 4. প্ৰকাশক New York, New York: Charles Scribner. পৃষ্ঠা. 2137–2150. ISBN 1-56563-607-4. Loprieno, Antonio (2004). "Ancient Egyptian and Coptic". In Woodward, Roger D.. The Cambridge Encyclopedia of the World's Ancient Languages. প্ৰকাশক Cambridge, UK: Cambridge University Press. পৃষ্ঠা. 160–192. ISBN 0-521-56256-2. Lucas, Alfred (1962). Ancient Egyptian Materials and Industries, 4th Ed. প্ৰকাশক London, England: Edward Arnold Publishers. ISBN 1-85417-046-5. Mallory-Greenough, Leanne M. (2002). "The Geographical, Spatial, and Temporal Distribution of Predynastic and First Dynasty Basalt Vessels". The Journal of Egyptian Archaeology (London, England: Egypt Exploration Society) খণ্ড 88: 67–93. doi:10.2307/3822337. Manuelian, Peter Der (1998). 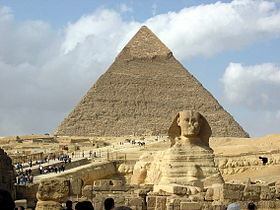 Egypt: The World of the Pharaohs. প্ৰকাশক Bonner Straße, Cologne Germany: Könemann Verlagsgesellschaft mbH. ISBN 3-89508-913-3. McDowell, A. G. (1999). 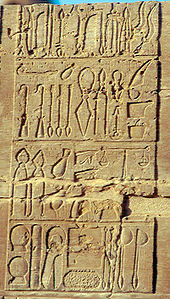 Village life in ancient Egypt: laundry lists and love songs. প্ৰকাশক Oxford, England: Oxford University Press. ISBN 0-19-814998-0. Meskell, Lynn (2004). 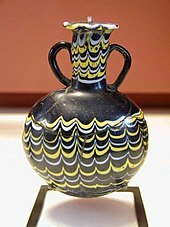 Object Worlds in Ancient Egypt: Material Biographies Past and Present (Materializing Culture). প্ৰকাশক Oxford, England: Berg Publishers. ISBN 1-85973-867-2. Midant-Reynes, Béatrix (2000). The Prehistory of Egypt: From the First Egyptians to the First Pharaohs. প্ৰকাশক Oxford, England: Blackwell Publishers. ISBN 0-631-21787-8. Nicholson, Paul T. (2000). Ancient Egyptian Materials and Technology. প্ৰকাশক Cambridge, UK: Cambridge University Press. ISBN 0-521-45257-0. Oakes, Lorna (2003). Ancient Egypt: An Illustrated Reference to the Myths, Religions, Pyramids and Temples of the Land of the Pharaohs. প্ৰকাশক New York, New York: Barnes & Noble. ISBN 0-7607-4943-4. Robins, Gay (2000). The Art of Ancient Egypt. প্ৰকাশক Cambridge, Massachusetts: Harvard University Press. ISBN 0-674-00376-4. Ryholt, Kim (January 1997). The Political Situation in Egypt During the Second Intermediate Period. প্ৰকাশক Copenhagen, Denmark: Museum Tusculanum. ISBN 87-7289-421-0. Scheel, Bernd (1989). Egyptian Metalworking and Tools. প্ৰকাশক Haverfordwest, Great Britain: Shire Publications Ltd. ISBN 0-7478-0001-4. Shaw, Ian (2003). The Oxford History of Ancient Egypt. প্ৰকাশক Oxford, England: Oxford University Press. ISBN 0-19-280458-8. Siliotti, Alberto (1998). The Discovery of Ancient Egypt. প্ৰকাশক Edison, New Jersey: Book Sales, Inc. ISBN 0-7858-1360-8. Strouhal, Eugen (1989). Life in Ancient Egypt. প্ৰকাশক Norman, Oklahoma: University of Oklahoma Press. ISBN 0-8061-2475-X. Tyldesley, Joyce A. (2001). Ramesses: Egypt's greatest pharaoh. প্ৰকাশক Harmondsworth, England: Penguin. পৃষ্ঠা. 76–77. ISBN 0-14-028097-9. Vittman, G. (1991). "Zum koptischen Sprachgut im Ägyptisch-Arabisch". Wiener Zeitschrift für die Kunde des Morgenlandes (Vienna, Austria: Institut für Orientalistik, Vienna University) খণ্ড 81: 197–227. Walbank, Frank William (1984). The Cambridge ancient history. প্ৰকাশক Cambridge, UK: Cambridge University Press. ISBN 0-521-23445-X. Wasserman, James; Faulkner, Raymond Oliver; Goelet, Ogden; Von Dassow, Eva (1994). 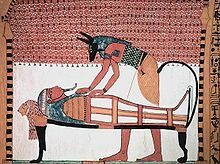 The Egyptian Book of the dead, the Book of going forth by day: being the Papyrus of Ani. প্ৰকাশক San Francisco, California: Chronicle Books. ISBN 0-8118-0767-3. Wilkinson, R. H. (2000). The Complete Temples of Ancient Egypt. প্ৰকাশক London, England: Thames and Hudson. ISBN 0-500-05100-3.